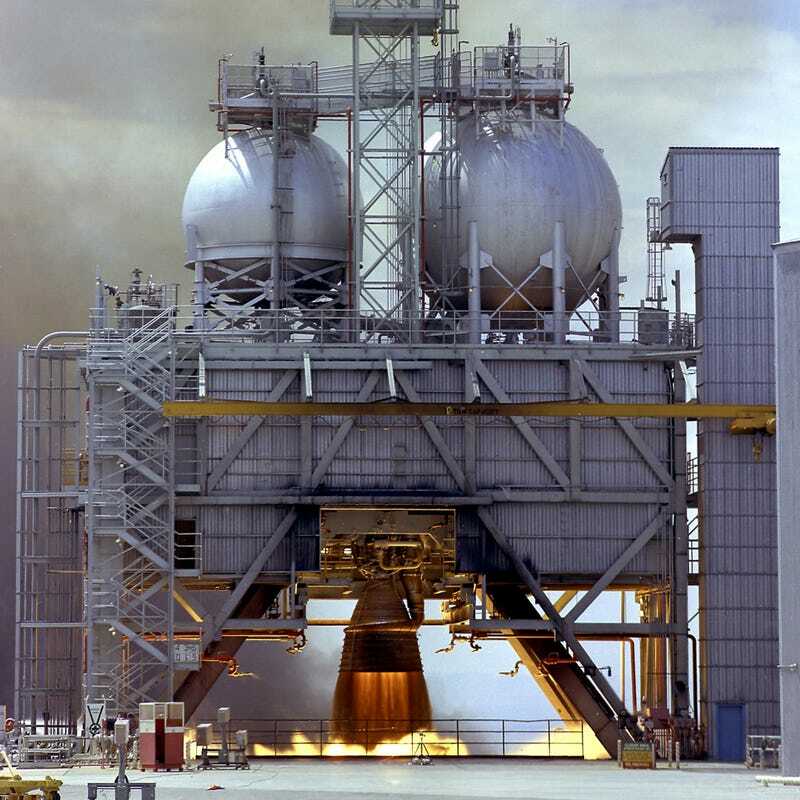 A photo of the Rocketdyne F-1 rocket engine—"the most powerful single-nozzle liquid-fueled rocket engine ever flown"—being tested at the Marshall Space Flight Center, Alabama. Five of them powered the first stage of the Saturn V. Watch and listen to all of them being tested—in Dolby 5.1 sound. It's amazing. And photo of the testing at the top of this article, watched from the other side. Reminder: 45 years ago today, Armstrong, Aldrin and Collins were on their way to the Moon.